Turquoise is a stone that purifies the spirit. It truly helps us see our anxieties as simply thoughts that pass us going downstream, giving them no more value than that. 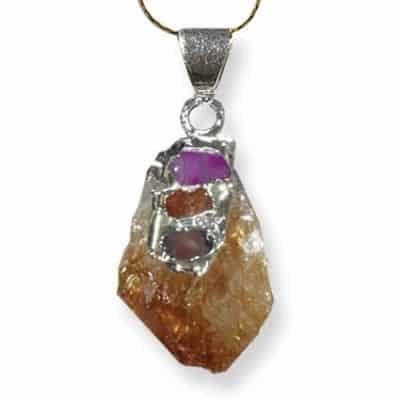 This stone helps us alleviate anxiety by showing us the bigger spiritual picture and dissolving negative energy. This stone is one of the oldest and most universal gemstones used by almost every culture on the planet. 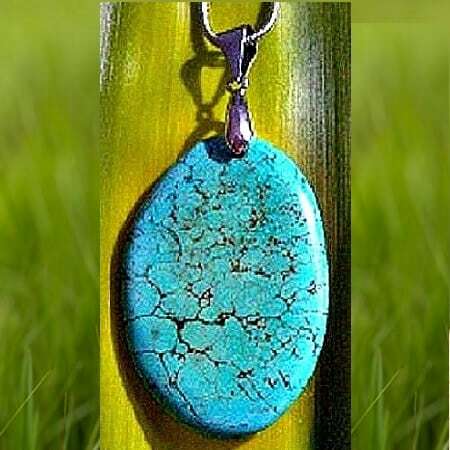 Turquoise is an ancient absorber of “negativity” and gives protection from the “evil eye”. 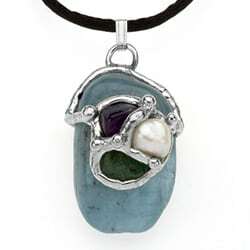 These tranquil amulets are as turquoise blue as the sea and have a calming, centering affect the moment you put it on. Each stone is unique so no 2 pieces are exactly alike. 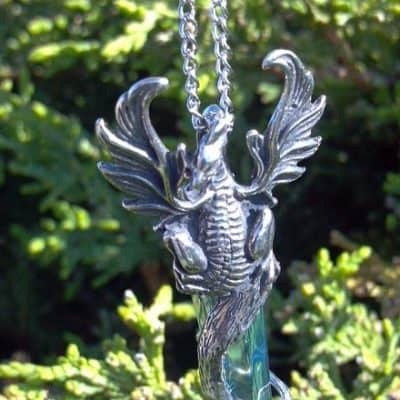 Matched with a complimentary silver alloy 19″ cobra chain with cobra clasp, these amulets measure approximately 2 1/2 inches long by 1 1/4 inches wide and come with its metaphysical properties, cleansing and usage information. 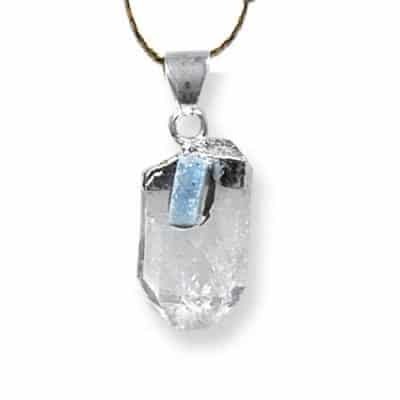 This amazing and energetic crystal necklace also comes with an organza bag for safe keeping!